Do you want to move your iTunes library to a new computer, iPhone, or a new external hard drive but are not sure about wanting it done. You are in luck because we are going to explain it to you in few easy ways. Firstly, we all know that moving data is dangerous and more than often some of our important data is lost in a transaction but you should not worry. We know that every bit of data you have is important so we will help you in answering all your unasked questions. You do not have to worry about losing your data, you can trust us. Secondly, there are a lot of times we get tired of backing up the data or we are not sure if all this work is worth the data. Let me tell you one thing, it definitely is worth it. Every bit of data of yours is worth it because these are the memories you made. Thirdly, moving your data is not as difficult as it sounds. It is pretty easy as you are going to read ahead. Lazy people like me can also easily move my iTunes library to a new phone or a new computer. 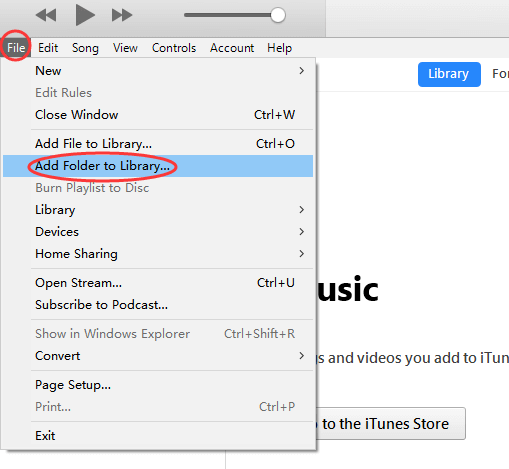 Part 1: How to Move iTunes Library to iOS Devices? Part 2: How to Move iTunes Library to External Drive? 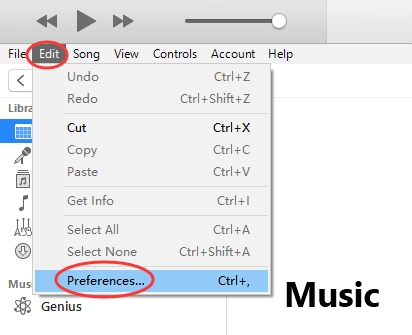 Part 3: How to Move iTunes Library to New Computer? How to Move iTunes Library to iOS Devices? Backing up your iTunes data is the most crucial thing because it eliminates the chance of losing your iTunes files. I suggest you to back up your iTunes data by moving it to iDevice. iMyFone TunesMate will be your first choice to do that. Please read read more about it and see how it works. 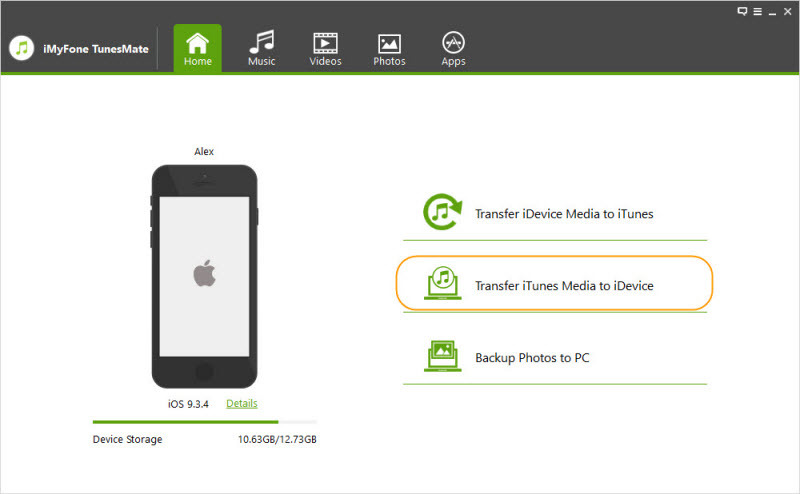 You can freely transfer data securely from any iOS device or PC. You can also transfer iTunes library without a password. Both types of files, be it free or paid are supported by iMyFone TunesMate and can be transferred. You get to see the preview and sync data selectively. The best thing about it is that you can sync data without erasing it. Step 1. The first thing you will do is to download TunesMate and install in on you PC/Mac. Step 2. Next, open iMyFone TunesMate and then connect your iDevice to the computer. Step 3. 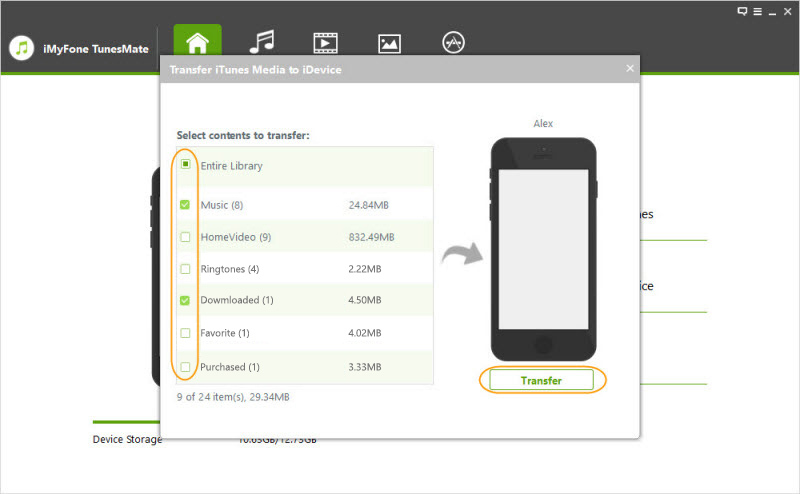 On the main interface, you can choose “Transfer iTunes Media to iDevice” it can helps you move iTunes library to unlimited idevices. Step 5. Just select the entire library and then click “Transfer” to continue. How to Move iTunes Library to External Drive? We can explain this to you in few easy steps. Step 1. Go to iTunes on your laptop. Step 4. 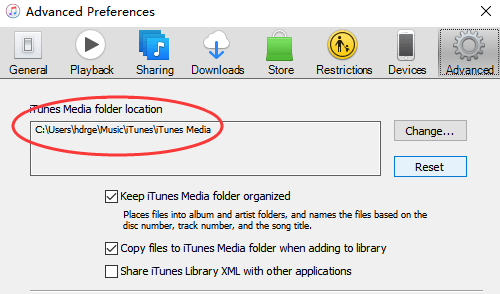 You can see the “iTunes Media Folder Location”. This show you where you can find your iTunes media folder. Step 5. 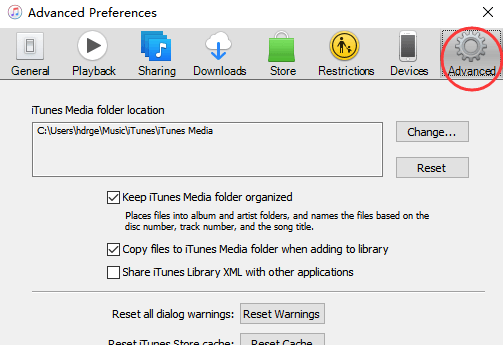 Follow the guide to find the iTunes media folder. Step 6. Connect your external drive to the computer and open it when it is recognized by your computer. Step 7. At last, you just need to drag the iTunes media folder to the external drive. Next up we will explain to you in easy steps about how to move iTunes library to a new computer. If you have already move iTunes library to external drive, things become more easier. Step 1. On your old computer, please follow Steps 1 to Step 7 which we just mention on the last method to move your iTunes library to external drive. Step 2. Connect your external drive to the new computer. Step 3. When it is recognized, you can open it and copy the iTues library to where you want on the new computer. We suggest you to copy them to the desktop which is easy to be found. Step 4. Then open iTunes on your new computer. If you don’t have one, please download it at the Apple official website. Step 5. On iTunes, go to “File > Add Folder to Library”. Step 6. On the pop up window, just choose the iTunes Media folder which you just copy from the old computer. After adding them to iTunes, you have successfully moved your data to new laptop and you can now enjoy them at the new computer.